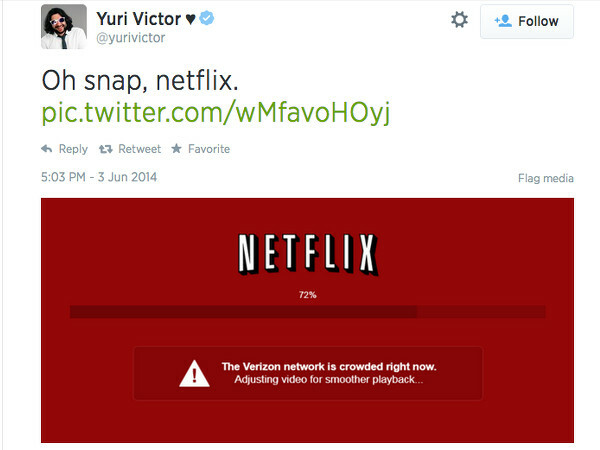 Verizon shoots back that it's all Netflix's fault. Less than a week after Google released its Video Quality Report to show users exactly how their Internet Service Provider is impacting the quality of streaming, Netflix is following suit. On Tuesday night, Vox Media journalist Yuri Victor spotted something interesting. While trying to stream Netflix on his Mac, he got a message from Netflix apologizing for the buffering delay, but indicating that it was because the Verizon network was congested. It’s a pretty simple, straightforward way to highlight the ISP’s role in poor streaming quality and absolve Netflix of any wrongdoing. Victor, who lives in Washington D.C., noted that he is, indeed, a Verizon FIOS subscriber (and paying for above-standard speeds). I’d be inclined to think Netflix is simply trying to head off having to pay for anymore “fast lanes”…except that it already made such an agreement with Netflix in April. So…that fast lane apparently isn’t very fast. True: Netflix is a major bandwidth gobbler, but it’s not the only company that’s taking issue with ISPs over streaming lags. Google took ISPs to task last week with its Video Quality Report to help customers determine which ISPs offer the best streaming speeds for YouTube. 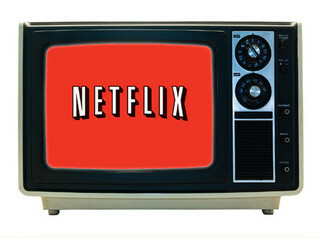 The report ranks ISPs like Comcast and Verizon according to their streaming quality. 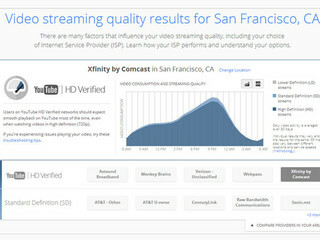 ISPs that fall under the “HD Verified” category are those that offer streaming at a minimum resolution of 720p with quick load times, or anything above 2.5 Mbps, while those that offer 360p streaming are categorized under “Standard Definition.” Oddly enough, there are ISPs that can’t even do that much. Those ISPs fall under the “Lower Definition” category, which means customers experience slow load times and interruptions to buffer. The ratings represent the way each ISP performs 90% of the time, and the data is based on “billions of YouTube videos watched across thousands of ISPs,” instead of a small sample of users. 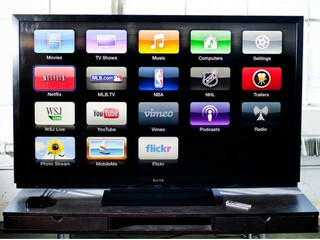 It’s also worth noting that Apple has reportedly been in talks with Comcast about its own managed service as well. Rumor has it, though, that Apple isn’t willing to share in the costs of bypassing traffic unless it also shares in the revenue generated by such a deal.